Heat oven to 375°F. Line two cookie sheets with cooking parchment paper. 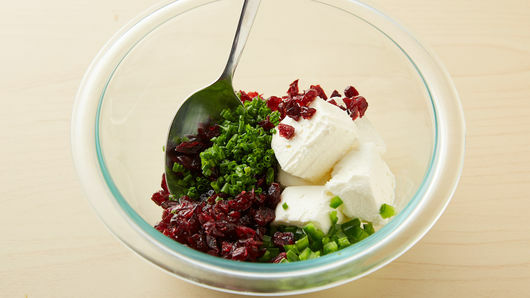 In medium bowl, mix cream cheese, cranberries, chives and jalapeño chile. Unroll dough on work surface. Press into 12x8-inch rectangle. 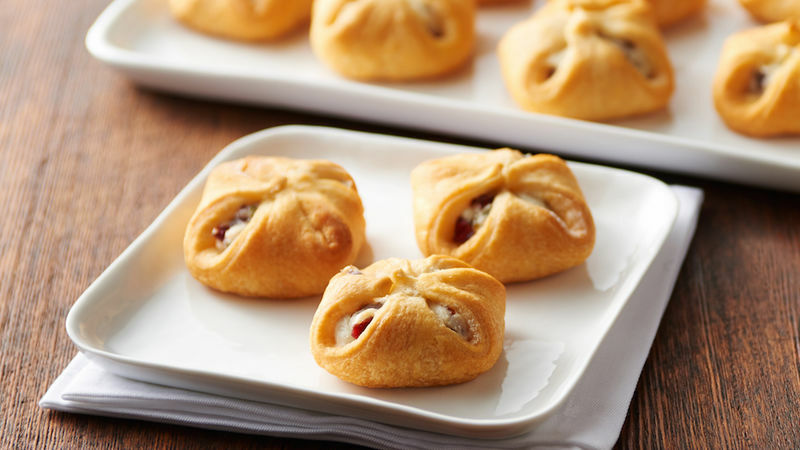 (If using crescent roll dough, firmly press perforations to seal.) 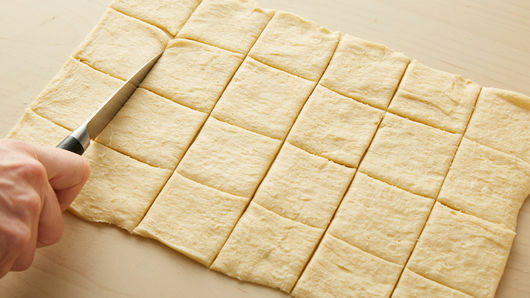 With pizza cutter or sharp knife, cut into 6 rows by 4 rows to make 24 squares. Place 1 teaspoon cream cheese mixture onto center of each square. Bring 4 corners together to overlap slightly in center at top of each bundle. Twist and pinch to seal, leaving small gaps between seams. Place on cookie sheets. Use disposable gloves when handling jalapeño chiles. Do you crave spicy heat? If so, adjust heat level by increasing jalapeño chile from 1 to 2 teaspoons. 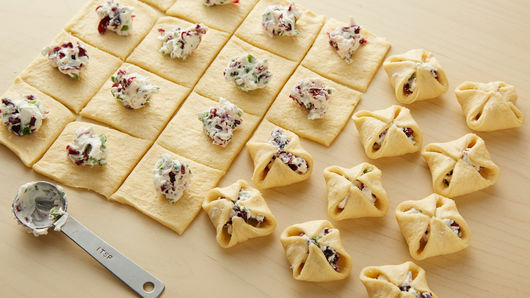 These appetizers can be assembled and refrigerated up to 1 hour before baking. Bake time may need to be increased 1 to 2 minutes due to being refrigerated.